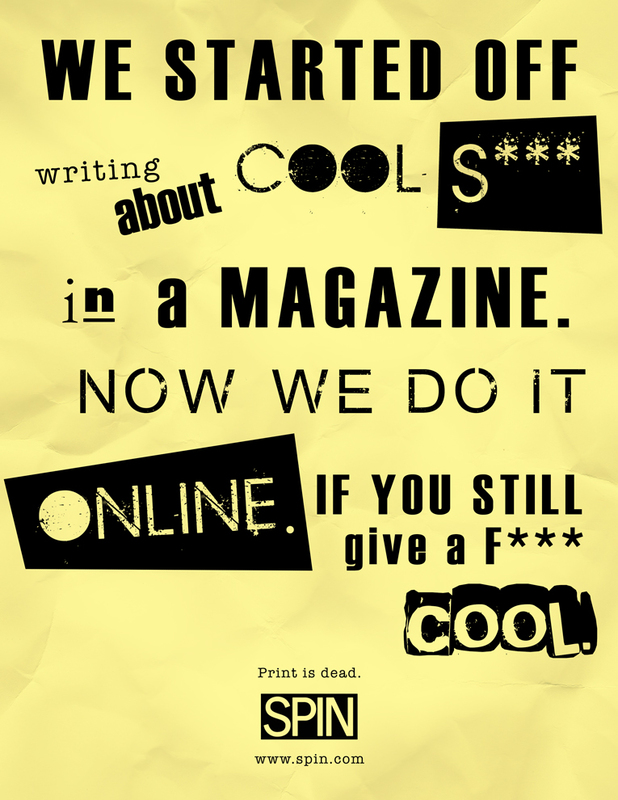 Spin was a punk/alt music magazine that’s no longer printed and now exists exclusively as a website. In the spirit of punk, we’re saying: we don’t care. 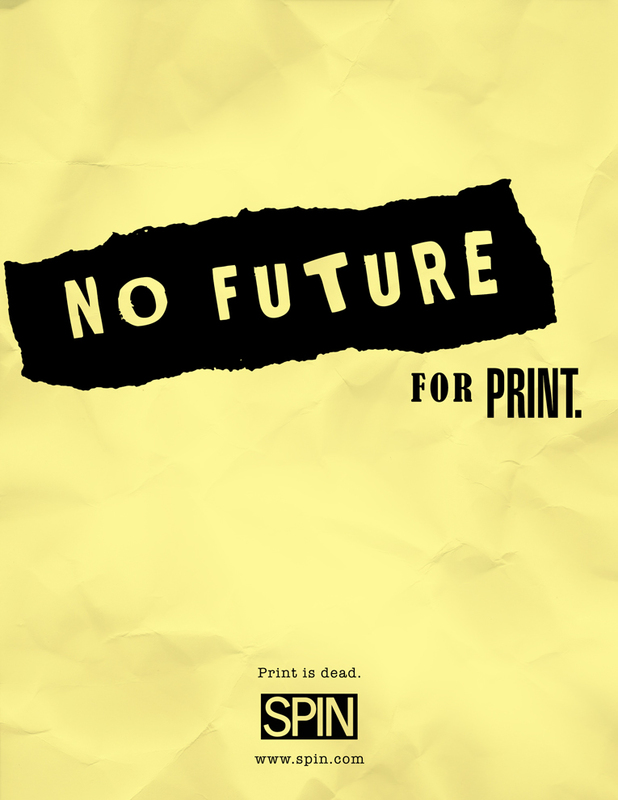 Print is dead. 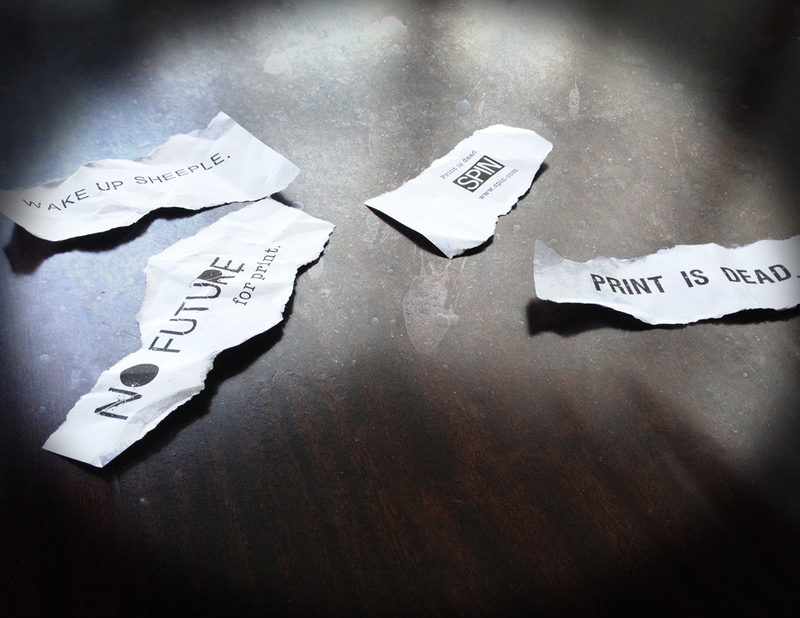 Flyers thrown around at concert venues and on sidewalks. Reserved empty space on magazine rack to show it's no longer in print.